There are few things in the world as universally beloved as cheese. With seemingly endless variety, delectable flavors and enough versatility to arguably make it a part of every meal, life simply wouldn’t be the same without this legendary ingredient. 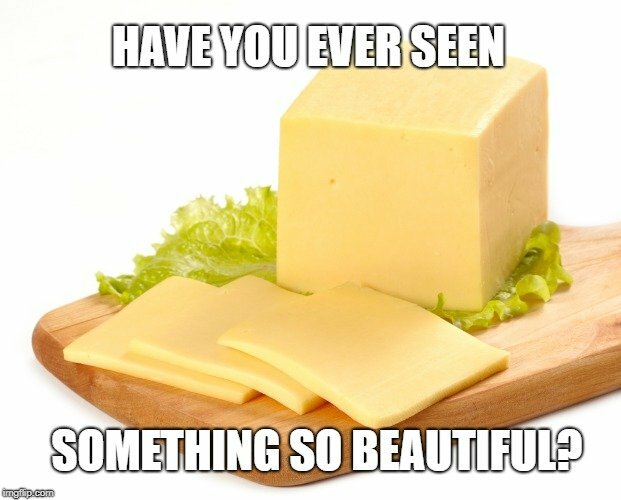 For at least the past 7,000 years, humans have been making and enjoying cheese from the milk of various animals, and the science of cheesemaking has become a true thing of beauty. However, there remains some confusion about cheese, particularly when it comes to keeping cheese fresh. Many people worry about their cheese developing mold spots or losing its texture if it simply sits in the refrigerator for too long. Other people are unsure whether cheese can actually go “bad”, since the cheese was formed in the first place by bacterial cultures. Finally, some cheese lovers worry that freezing their cheese will drain it of all its flavor and nuance. The question is, if we want to make sure we don’t miss out on any cheesy goodness from our recent purchase at the farmer’s market, can we simply freeze the cheese? If you come across an amazing deal at the supermarket and want to stock up on your favorite brand of Colby Jack, you can certainly take it home and pop those extra blocks into the freezer, but you might not need to. Commercially available cheese that is packaged and sealed has already been pasteurized and aged (in most cases), so there is no danger of the cheese going “bad”, provided you keep it in a consistently cold part of your refrigerator and keep it sealed. Furthermore, when you allow cheese to sit in the refrigerator, it will continue to age slowly, which results in a sharpening of the flavor. This is not something that you’ll get if you put your cheese in a deep freeze! Generally speaking, experts don’t recommend freezing cheese because of the negative impact that it can have on flavor and quality, but it certainly isn’t a dangerous practice. In terms of quality damage, when you freeze cheese, small ice crystals will form within the block. When these ice crystals form, they will expand, thus disrupting the uniform molecular structure of the cheese and breaking some of the binding within the cheese. When you retrieve that cheese from the freezer a few months later, this expansion and contraction will have caused the cheese to become much more crumbly or brittle. While this may not matter, depending on how you are planning on using the cheese, it still makes it harder to work with as an ingredient. 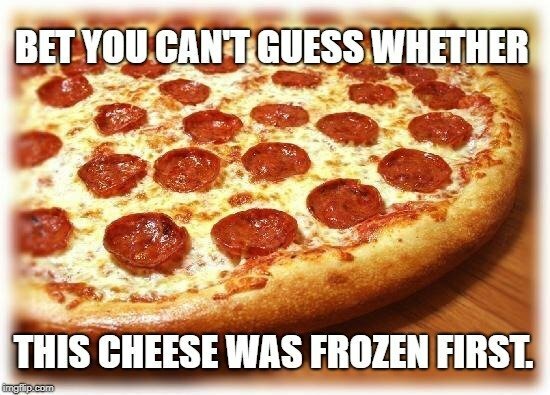 For example, you can’t make a very good deli sandwich with crumbly cheese that falls out the sides, but if you are baking a casserole or topping a pizza, the texture of the cheese is far less important, as it is intended to melt together anyways! Obviously, as you know, not all cheese are created equal, and their consistency varies widely from soft, spreadable cheese to hard pungent varieties. 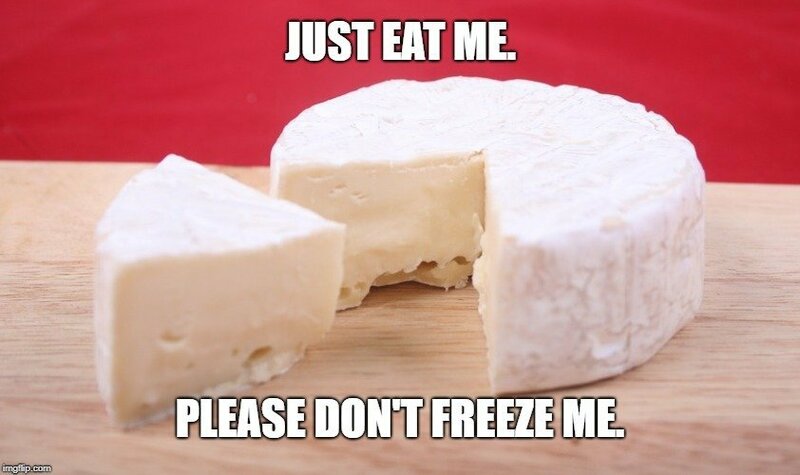 Hard cheeses will suffer the crumbling symptoms of the freezer, while softer cheese will partially separate into solid and liquid states, leaving the cheese harder than it should be, and covered in an unpleasant coating of liquid. It can also take on a mealy quality, texturally speaking, that people do not enjoy. There are obviously some reasons why you may need to pop your favorite wheel of gouda in the freezer, but if you can avoid it, try to store it in the refrigerator. Which Cheese Can I Freeze? If you are determined to store your cheese for the long term, it is important that you are choosing the right cheese that will actually hold up in the freezer. You should only be freezing semi-hard to hard cheeses, which include Pecorino, Parmesan, Muenster, Edam, Mozzarella, Provolone, Swiss, Fontal, Gruyere and Port Salut, among others. These cheese may lose some of their textural quality, and could develop a slightly “burnt” taste, but generally speaking, these cheese varieties will hold up in the freezer for 3-6 months, depending on the variety. Overly soft cheeses, as well as those with holes or natural pores, should be avoided as freezer fodder. As mentioned above, soft cheese like brie or queso fresco will begin to separate, while those cheeses with holes are more prone to breakage and crumbling, as the ice crystals that form will have more invasive space. Some other cheese to keep out of the freezer includes cottage cheese, cream cheese, paneer and ricotta. If you insist on storing a soft cheese in the freezer, do not leave it in there for more than 1 month. Cheese spreads have an even recommended shorter freezer time—no more than 2 weeks. How Should I Freeze My Cheese? Grating, slicing and cutting larger pieces of cheese into blocks is recommended, as it will be easier to cook with/measure out once you want to use the cheese in the future. Do not store blocks of cheese larger than 1 pound; cut them into more manageable sizes, if necessary. If you cut the cheese into slices before freezing, you may want to place wax paper between each slice for ease of use later. Plastic or heavy-duty aluminum foil should be used to wrap all cheese blocks and chunks before they are put in the freezer. They can be further stored in airtight containers or freezer bags to lock in flavor and maintain a tight seal. If possible, keep the cheese in its original, unopened packaging before freezing. When you want to use your cheese, transfer it to the refrigerator and use it within 2-3 days.